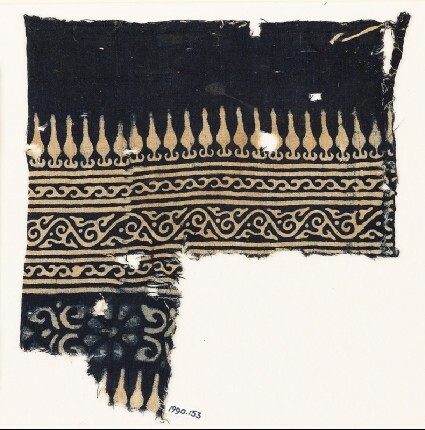 Vogelsang-Eastwood, Gillian, The Resist Dyed Textiles from Quseir al-Qadim, Egypt (Paris: Association pour l'étude et la documentation des textiles d'Asie, 1990), illus. 40, 65. Border of narrow bands, with stylized bodhi leaves, and two versions of continuous vines, one small with single tendrils turning back, the other wider and with leaves and tendrils attached. This is followed by a band with a large, eight-petalled rosette framed by stylized leaves and another row of leaves. The resist defines the design, the background is blue. Selvedge, some blue and white stitching. The length of the block used was 17 cm. 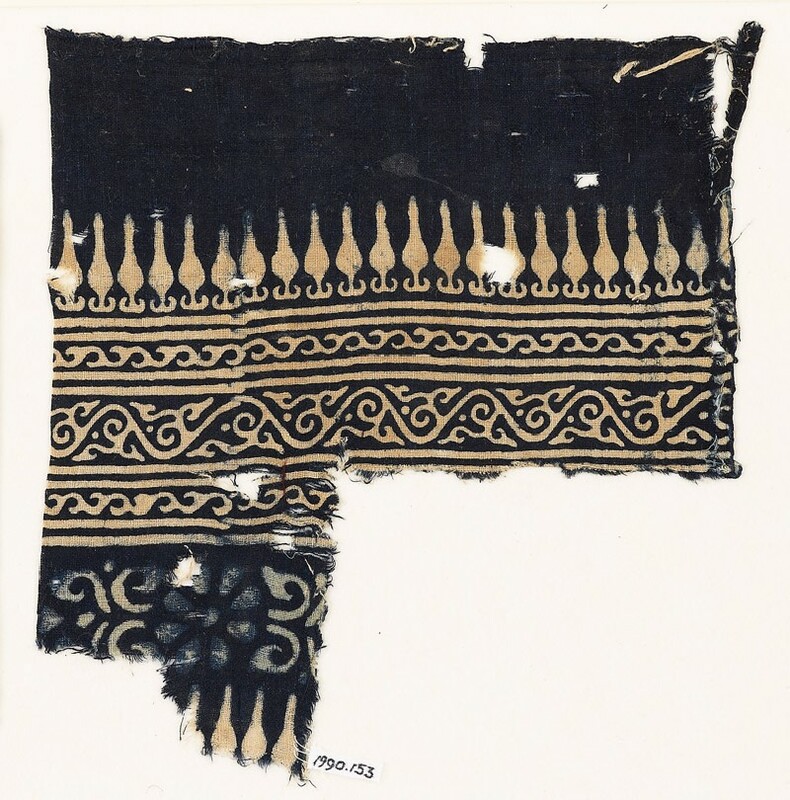 A fragment with an identical border design was found at Quseir al-Qadim (see Vogelsang-Eastwood 1990: Cat. no. 18). A second Quseir fragment [Cat. No. 42] has a similar design, although there are two blue vines on a light ground. The result of C-14 analysis was 1525 CE+/-50.